About half the furs produced in North America are now farm-raised. Worldwide, the figure is closer to 85% – primarily mink and fox, but also chinchilla, Finn raccoon (Asiatic raccoon), sable, Rex rabbit, Karakul sheep and other species. In North America, mink are the most commonly farmed furbearers while smaller quantities of fox and chinchilla are also produced on small, family-run farms. Download our fact sheets Fur Farming in North America and Canada's Fur Trade at a Glance (PDF). ... at a time when many forms of agriculture are becoming increasingly difficult for small, family-run operations. Fur farming also has the advantage of not needing a large land base, fertile soil, or clement weather. 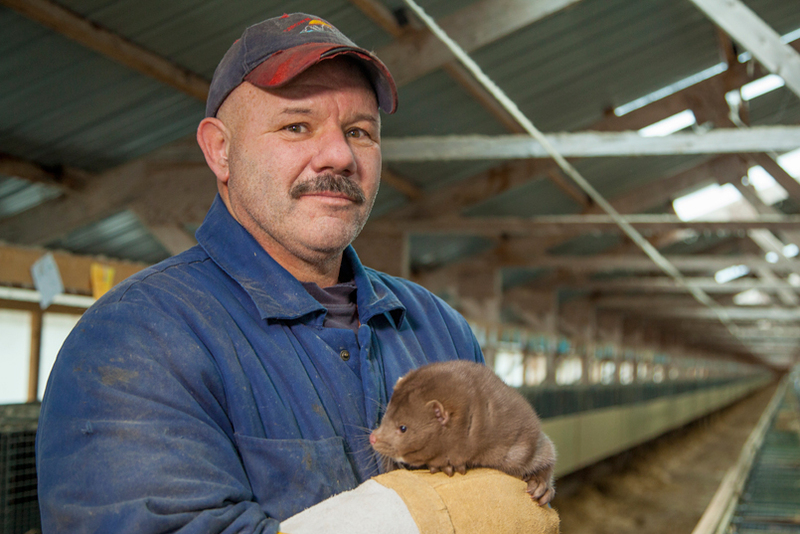 Fur farming completes the agricultural production cycle. 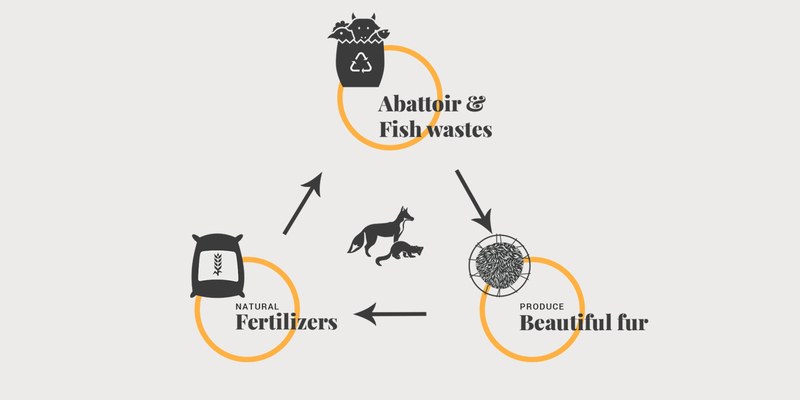 Farmed mink and fox are fed left-overs from our own food production, the parts of chickens, pigs and fish we don’t eat. The manure, bedding (soiled straw and wood shavings) and carcasses are composted to produce organic fertilizers to replenish the soil. Nothing is wasted. Farmed mink, fox and chinchilla are domesticated animals. Although their ancestors were originally taken from the wild, these animals have been selectively bred and raised on farms for many generations. Mink have been farmed for over 150 years, are much larger and more docile than wild mink, and have been bred in a wide range of natural fur colors. This represents more than 100 generations of mink – i.e., the equivalent of 2,000 human years.